Second quarter loans and advances to customers increased by NOK 353 million to NOK 3 298 million excluding provision for loan losses and prepaid agency commissions. Interest income for the quarter was NOK 98.0 million, an increase of 16% compared to previous quarter (84.7). Cost/income ratio was down 4 percentage points compared to last quarter, mainly driven by more efficient marketing spending. “Monobank had a solid quarter with positive operational development and solid progress on strategic initiatives. Growth in net loans continued at a satisfactory pace driven mainly by strong demand in Finland. The bank handles loans and deposits from an internally developed multi country platform to facilitate efficient and expedient geographical expansion of our core business” said Bent H. Gjendem, Chief Executive Officer at Monobank. Monobank has built and invested in a technology driven multi country platform and a credit card platform. A key element of Monobank's strategy is to leverage its established position in digital consumer banking to create new revenue streams using the Mono Pay app which is included in the credit card platform. The first partner roll-out is with Scandinavia's largest regional airline Widerøe, where Monobank will launch a Widerøe branded credit and loyalty card in September this year. The bank’s multi country platform offers considerable operational synergies and adds strength to the bank’s growth platform. 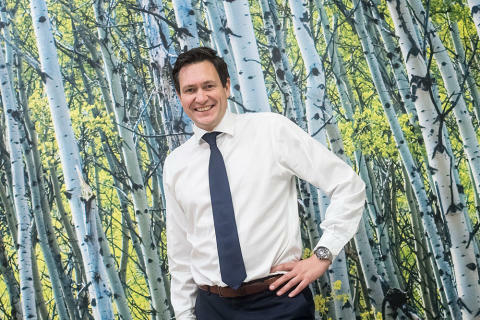 The bank's opex is now scaled for further growth, and the board has therefore decided to launch consumer loan business in Sweden in the first quarter 2019. The expansion will further contribute to diversify the business model and regulatory risk exposure. “Increased focus on efficient use of marketing resources as well as leveraging our distribution platforms to increase operational efficiencies should improve the bank’s profitability going forward. For the full year 2018, we expect a profit after tax in a range of NOK 55–60 million. This includes a negative net effect resulting from investments in the roll-out of our card card platform with Widerøe, in addition to expenses related to the continued development of the Monobank platform”, Bent H. Gjendem concludes. The company will host a presentation of the second quarter 2018 results in Oslo today Wednesday 15 August at 11:00 AM CEST at Hotel Continental, Stortingsgata 24, 0117. 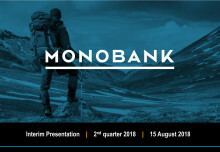 The company will also host a presentation of the second quarter 2018 results in Bergen Thursday 16 August at 08:30 AM CEST at Monobank’s headquarter, Telegrafen, Starvhusgaten 4, Entrance: Olav Kyrresgate 3rd floor, Bergen. 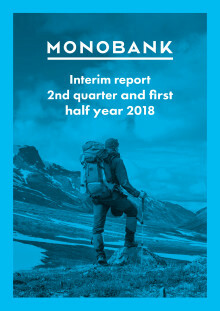 The second quarter report and presentation will also be made available on www.monobank.no/irand www.newsweb.no.